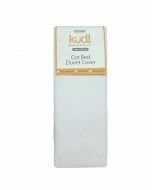 Kudl baby bedding and blankets are designed with your babys comfort as the primary objective. Manufactured with attention to detail, whether it is a cot or pram bedding, the quality is of paramount importance. 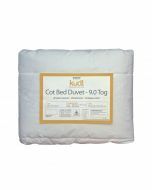 Kudl products are machine washable. 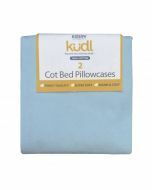 Kudl baby bedding and blankets are designed with your babys comfort as the primary objective. Manufactured with attention to detail, whether it is a cot or pram bedding, the quality is of paramount importance. 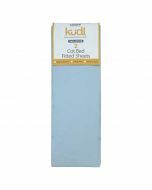 Kudl products are machine washable and do not diminish in quality after washing multiple times. The Kudl range is newly developed and will continue to develop newer products into the nursery industry. The range of Kudl products will include baby bath time, baby bedding, baby feeding, baby furniture, baby wear and much more. 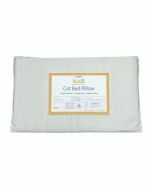 Due to the nature of the Kudl products, we hope parents will see the value in sticking to this brand for many many years ahead. Available in White, Pink and Blue. Dimensions H.130 x W.160 x D.1cm. © 2018 by Kidsaw Ltd, 47-55 Northgate St, Leicester, Leicestershire LE3 5BZ, United Kingdom. All rights reserved. Tel: 0116 2519551.